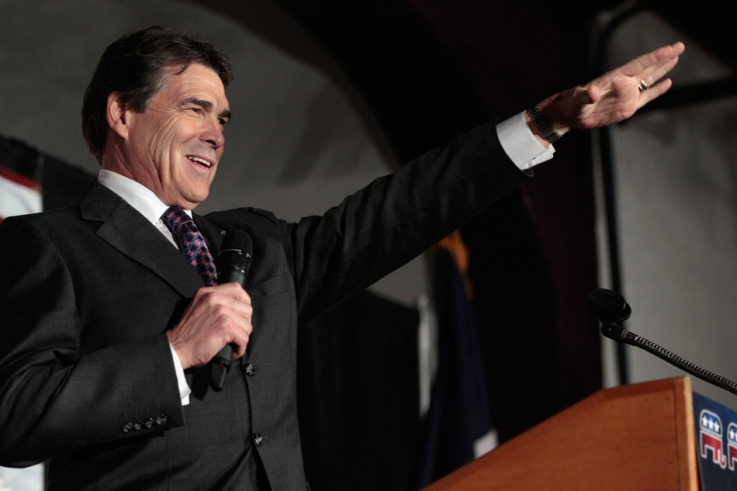 Is Rick Perry worth the gamble? an economy that is the envy of all the other states. Unemployment is lower there than elsewhere and contrary to popular belief, the strong Texas job market is not limited to the oil industry. Douthat points to the fact that more Americans have moved to Texas in search of employment in recent years and the fact that the state’s school system is succeeding with a higher percentage of its students, including minority students, as further of evidence of the kind of quality leadership Rick Perry offers. While acknowledging that much of the state’s economic success may be credited to previous governors and a business friendly environment that was all in place before Perry took office, Douthat warns all of Perry’s critics to not write off his impressive record of accomplishments which may serve as his ticket to the White House. Perry doubts that Barack Obama is a patriot and has suggested that the Republican appointed head of the Federal Reserve Bank, Bernard Bernanke, is guilty of treason. He kicked off a his Presidential campaign with a prayer fest in Houston that included a number of Bible belching fanatical ministers who openly proposed the conversion of all Jews; that Oprah is the devil; Katrina was God’s punishment on New Orleans for being a gay friendly city; and that God had anointed a select group of pastors from—can you guess what state? From Texas to preach HIS word and save America from itself. Douthat’s postulate, that Perry is a viable candidate because of the things that are going right in Texas, only holds water if American’s hold their nose about Rick Perry’s bizarre beliefs, ideas and verbal excesses. Yes, its true, that more times than not, voters do put money ahead of reason when going into the voting booth. In this case though, voting for Rick Perry would require voters to take a leap of faith over an abyss filled with frightening echo’s that should challenge the common sense of even a child.